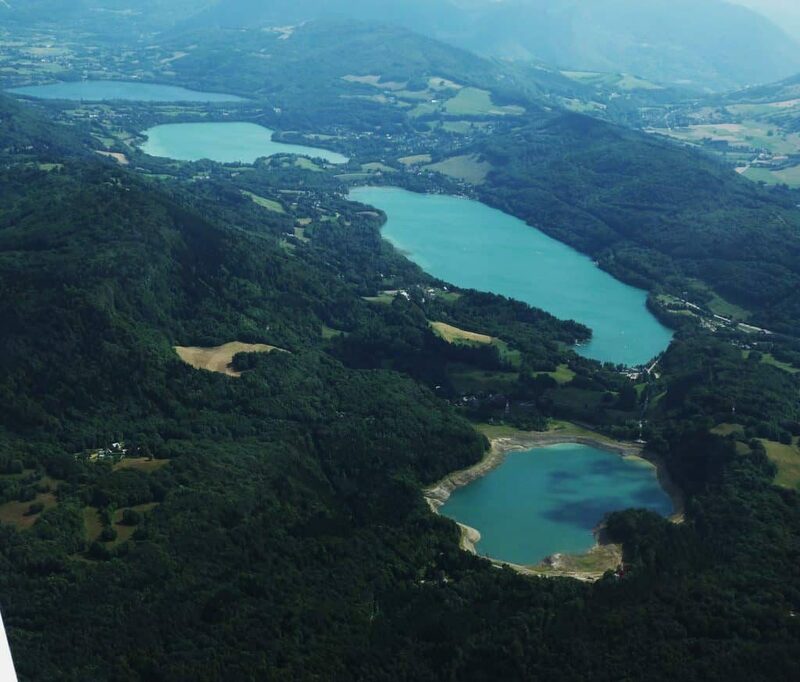 At 28 kms from Grenoble, our campsite « Au pré du lac » is located in the south of the region of Isere. The place is perfect to relax thank’s to three natural lakes. During a week end in couple or a family holiday, you could enjoy the nice landscapes and the clear water areas. A panoramic view on the « Alpe du Grand Serre » will seduce you. You’ll be glad to find a cosy place with a private beach, only for campers. Visits are also possible, like, for example the Image Mine. The region is historically famous for a coal of very good quality. 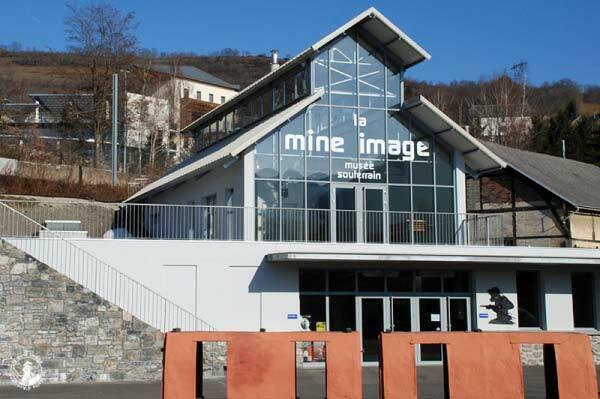 You will be able to visit and relive the life of the « black mouths of Isère ». The territory is full of history, it was also cradle of the French Revolution. Thus, it is possible to discover a castle dating from the revolution of 1789, opening the doors to the largest arch of the Isère. For people preferring nature, sporting hikes or simple walks are possible with a marked path grazing 300 kilometers. For thrill seekers and new discoveries, you will find close to the campsite take-off stations for paragliding to fly over the lakes. 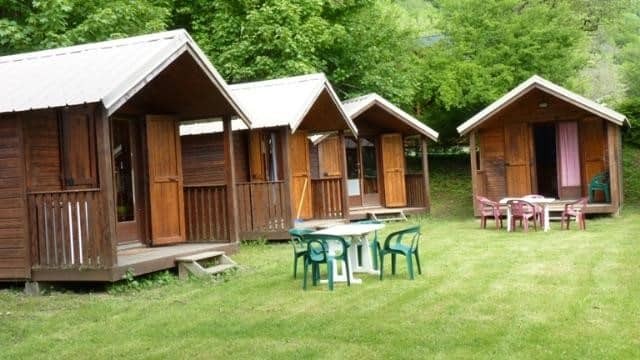 At the campsite « Au Pré du Lac », it is possible to rent chalets near Grenoble for a weekend or several weeks. You will find two or three bedroom cottages, depending on your needs. 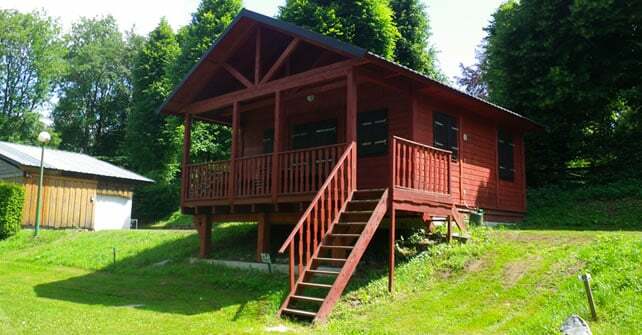 The two-bedroom chalets are wooden and have an area of 35m². 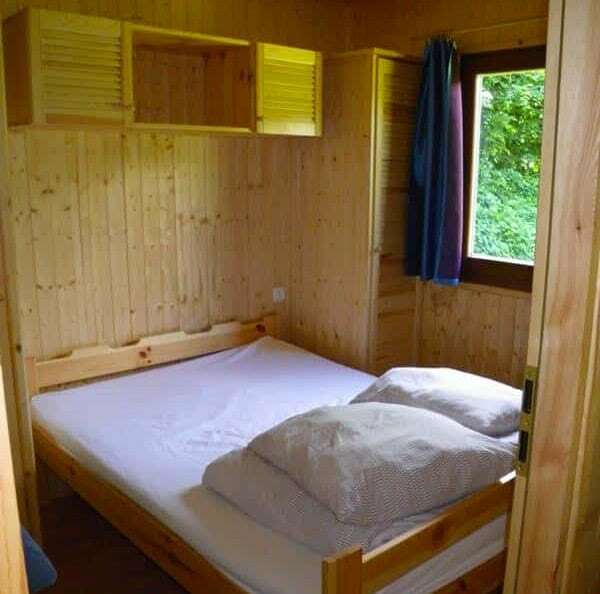 In the two-bedroom chalets you will find a double bed and two single beds. An extra bed is possible through a sofa bed. For taking meals, a terrace table and six chairs are at your disposal, as well as four gas burners, a microwave and a fridge. Plus, you will find a bathroom with shower and toilet. A WIFI connection point is available at the reception. Parking place. For the three-bedroom cottages, you will find a double bed and four single beds. An extra bed is possible through a sofa bed. For meals, a table and a total of 8 chairs are at your disposal. A bathroom with a shower and two WC. A fridge / freezer and 4 gas burners. By the way, you could enjoy the open air space and the landscape thank’s to the garden lounge. A WIFI access is available at the reception. Parking place. Don’t hesitate to ask the campsite team for any question about an accommodation. 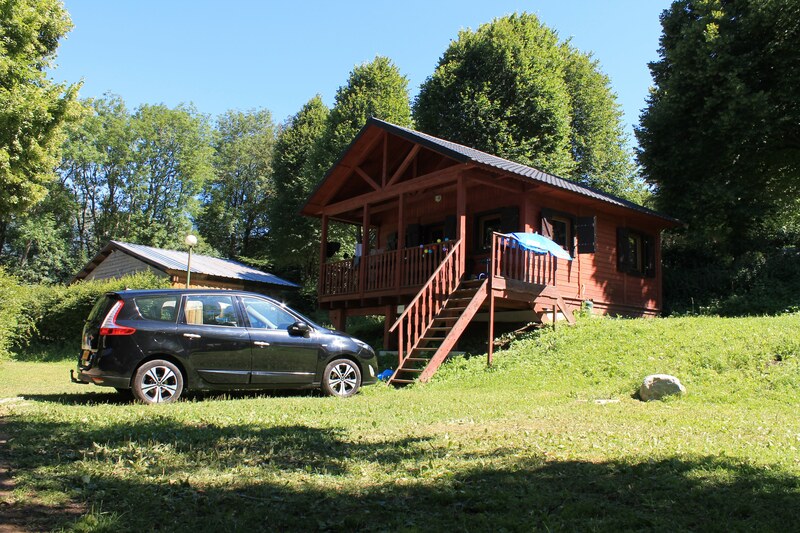 Possibility to book during the holidays and in low season to enjoy a family and cosy atmosphere.